Each page needs an image. All images must be your own creation - you can use previous assignments as your images. Make sure each page has a link. Check to make sure images and links work. Bring your site on a flash drive to class. Due Oct 31. Copy and paste from the text box below to create new HTML documents. Mozilla Thimble Lets you try out code in your browser. The Firefox browser is the best choice for many people. It has fewer security problems than older versions of Internet Explorer on Windows, and more features than Safari on the Mac. You can download Firefox for free. Google's Chrome is also an excellent browser. Several online tools allow you to validate your HTML, pointing out any syntax errors. The W3C's Markup Validator allows your to validate online files, files your upload, or html you paste in place. The results can be a bit hard to interpret, however. The Web Developer Toolbar is a useful add-on for Firefox, adding validation and other tools to your Firefox browser. There is also a version of the Web Developer Toolbar for Chrome. BBedit for Mac OS X. It will work in "basic" mode for free, with no expiry. You do not need to purchase a license. Click here to download it. You will want an image editor to crop, resize and save images. Preview (included with every Mac) works well, and the demo version of GraphicConverter allows you to use most functions for free. NotePad is a good simple text editor, that is included with Windows. You may need to look in the "Accessories" section within "All programs" in your Start menu. Important: Use NotePad, not WordPad. If you are looking for more features, Notepad ++ is a good free text editor for Windows. Choose "Download 32-bit x86" to download. PNG files can be 8 or 24 bit depth. 24 bit PNGs are very high quality, but will usually result in the largest files. JPEG files use lossy compression to reduce file size, and speed loading. When you save a JPEG file, you can usually chose a range of quality options, with higher quality yielding larger files. At maximum quality, JPEG files are very close in quality to files saved with lossless compression. At low quality settings, the loss of quality will be obvious. The GIF file format is limited to 256 colours (8-bit colour) or fewer. 8 Bit PNG files are usually preferred, but the GIF format is unusual in that it can be animated. 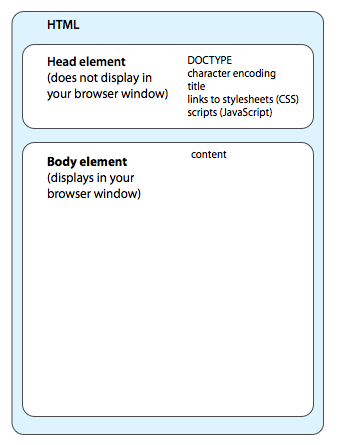 A good (and modern) technical introduction to HTML. Hover.com is a reasonably priced, easy-to-use registry. There are tens of thousands of options. are some reasonable starting points. 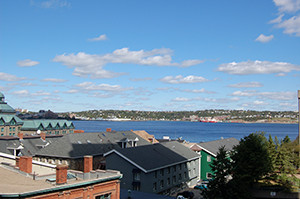 Robert Currie, NSCAD University, 2019. Last modified: February 15 2018.